Eric Arthur Blair (25 June 1903 – 21 January 1950), better known by the pen name George Orwell, was an English novelist, essayist, journalist, and critic. His work is marked by lucid prose, awareness of social injustice, opposition to totalitarianism, and outspoken support of democratic socialism. 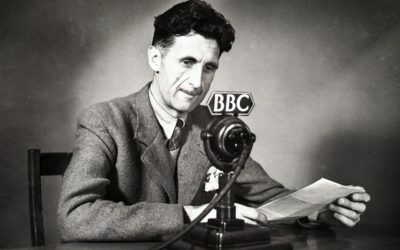 Orwell’s work continues to influence popular and political culture, and the term Orwellian – descriptive of totalitarian or authoritarian social practices – has entered the language together with many of his neologisms, including cold war, Big Brother, Thought Police, Room 101, memory hole, newspeak, doublethink, and thoughtcrime.